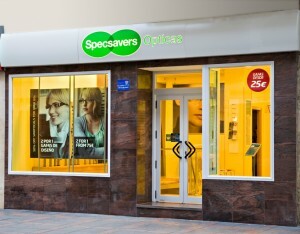 All us expats know the line “Should’ve gone to Specsavers” but few people I speak to realise there’s one in Fuengirola! They offer the same great prices on glasses and contact lenses and have English speaking staff to help you. As if that wasn’t a good enough reason to visit, they are offering free eye tests for all customers from tomorrow until the end of February to celebrate their 4th Anniversary. They are also holding a little birthday event at the store on 27th January, where you can have a glass of cava, a slice of cake and enter into a prize draw to win a free pair of glasses. So pop in the next time you’re in Fuengirola, the store is on Avenida Ramon Y Cajal 6, near to the bus and train station. Alternatively, give them a call to arrange your free eye test 952 467 837. The store is open Monday to Friday 10.00-14.00 and 15.30-19.30 and Saturday from 10.00-14.00. So now there’s no excuse not to go to Specsavers. Visit www.specsavers.es for more information. I am enquiring to an offer that was made to me earlier on in the year for a new pair of glasse at half th price as I was not satisfied with the ones that I purchased in October of last year, the problem being the reactalite lenses the I really dislike and the misting of the lenses (having to clean them all the time) I did thank you for your kind offer and also said that I would carry on trying to get on with them, still I am wearing my old glasses of 3 yrs as they are more comfortable for me although obviously not strong enough, please can you let me know if your offer still stands as I live over in Nerja. Thank you for your help and hope that I have made myself as clear as possible. Hi Rita, we have passed your comments to the Fuengirola store who should be in touch shortly. Hi Jeanette, thanks for your question. I’m afraid that Specsavers Opticas in Spain do not currently offer hearing tests, they are an optician only here.